Foreign Minister Shah Mehmood Qureshi on Sunday said India was evading efforts towards better environment for humanity by harping on the same string of levelling unfounded allegations of terrorism on Pakistan. “We attempted to hold talks with India for development of the region, now the world will have to see that who is striving to attain peace and who is eluding it,” he said while addressing a press conference in Washington. FM Qureshi also said that Islamabad wants peace and security in Afghanistan since it is in the country’s own interests. Pakistan, he said, will use “whatever influence” it has to push forward Afghan reconciliation talks. “We need peace in Afghanistan. 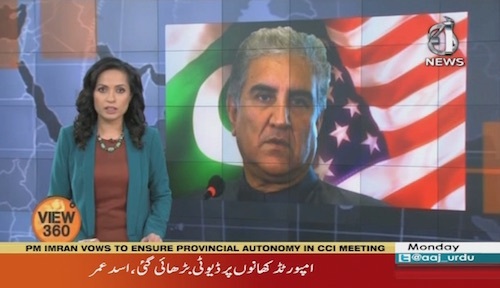 This is what Pakistan needs,” FM Qureshi said at the start of his visit to the US during which he will address the UN General Assembly session in New York and also meet US Secretary of State Mike Pompeo.